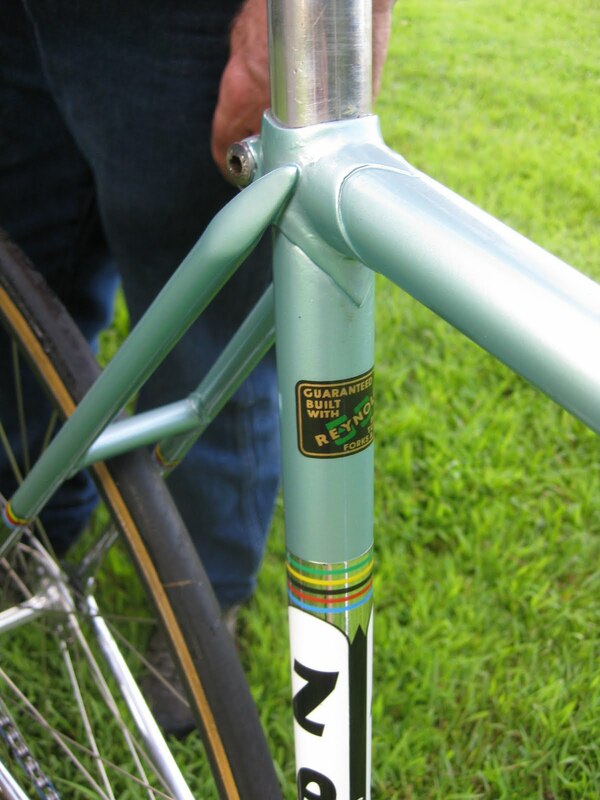 a beautiful Zeus Pista bike. 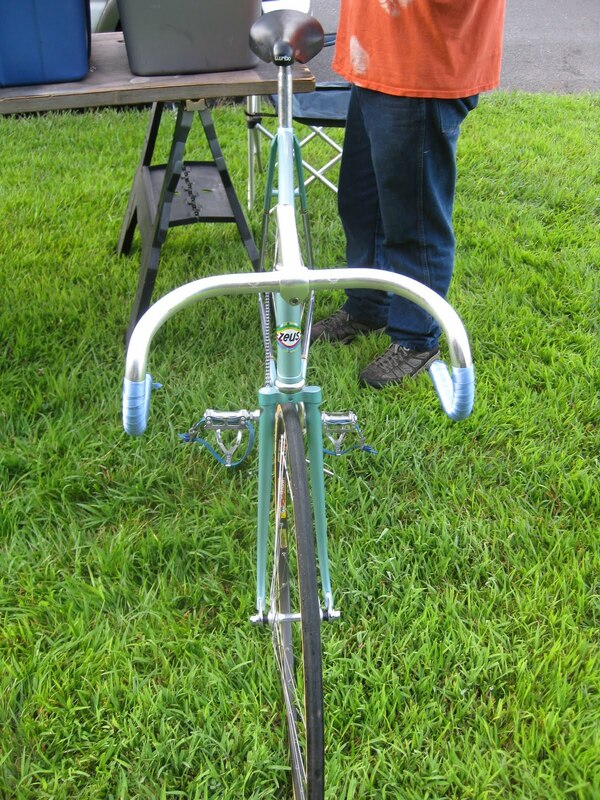 Has Zeus cranks and headset and other bits, it is a very nice example of an early 1970s model. 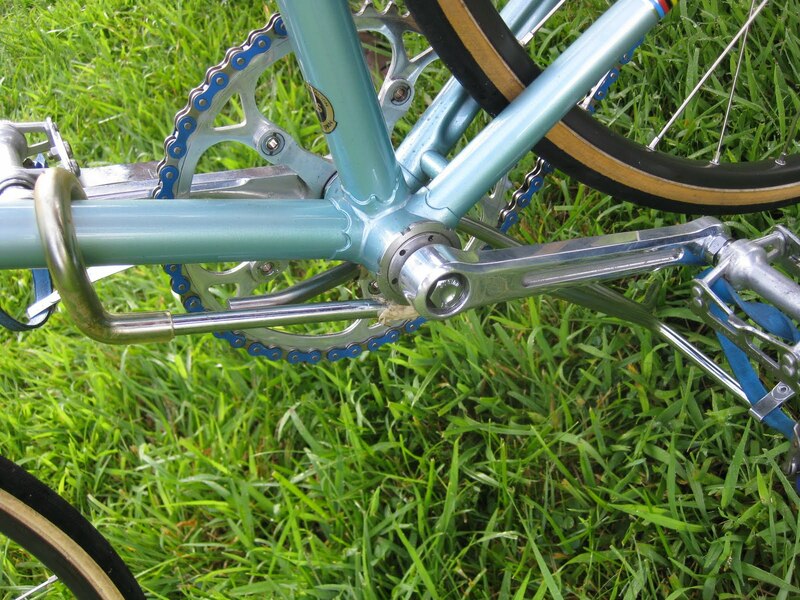 The cranks are obvious copies of first version Campagnolo cranks, as is the headset. 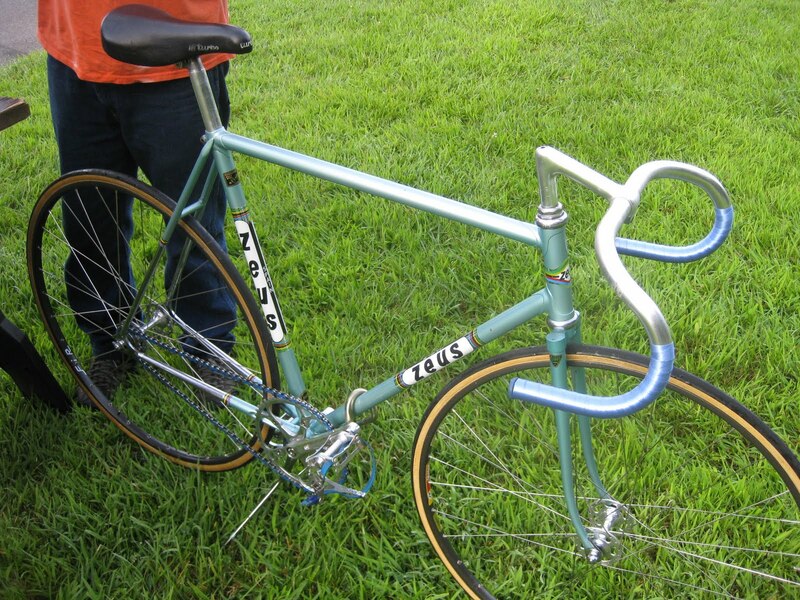 Zeus equipment, made in Spain, was excellent, rivaling and even surpassing Campagnolo. 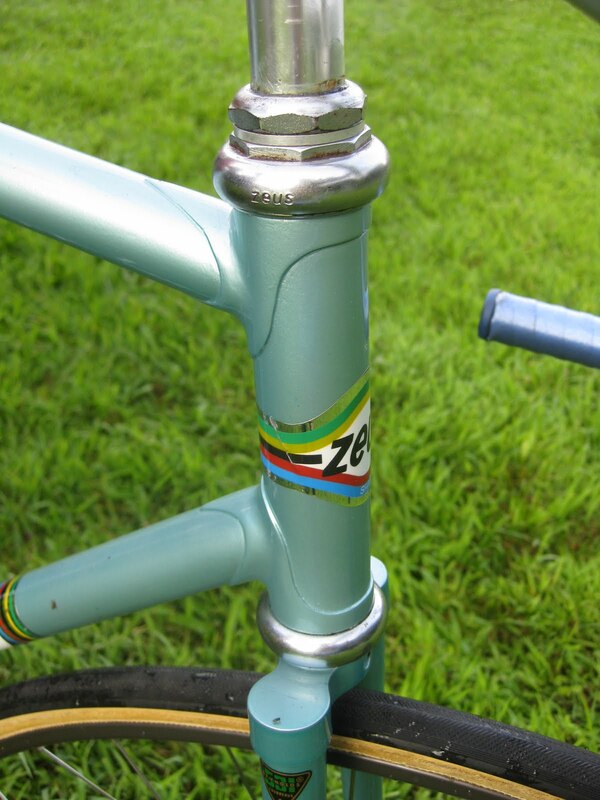 The Zeus 2001 parts were very light and well manufactured, I will do a post on those parts someday in the future.